What does the word “happy” really mean? What does it encompass? How about the word “unhappy,” and what exists between those two concepts? 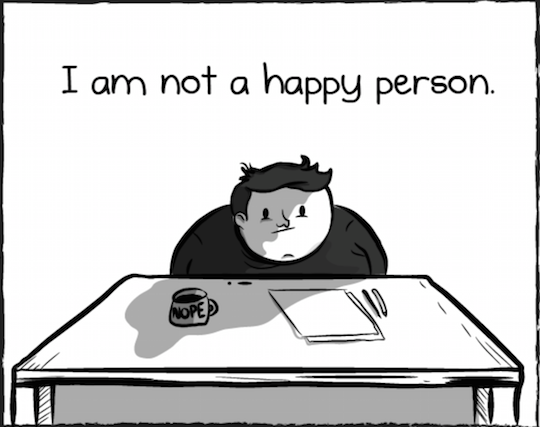 In the following illustrated story, Matthew Inman, who does not consider himself a happy person, breaks down the constructs behind such ideas as happiness and unhappiness.